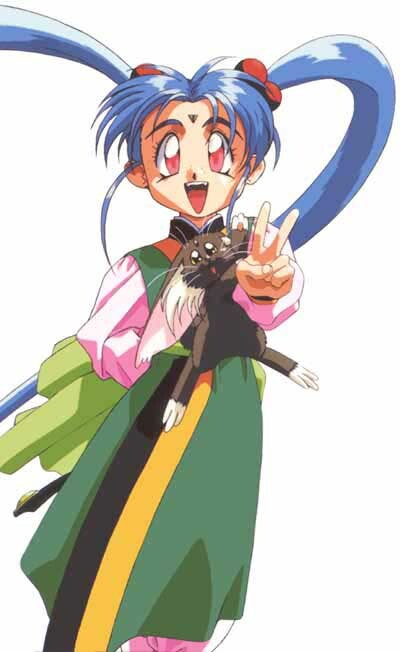 2)Sasami is, although the youngest, probably the wisest besides Washu and Kiyone. [out of the girls. Tenchi is smart ;)] Sasami also cares a LOT about Tenchi, but doesn't torture him. Isn't that good? :) While Ayeka and Ryoko are fighting, Sasami is just being nice to everyone and cooking! 9)She loves animals! I love animals also. =) I think it's really cute how she cares for animals when they are hurt, and makes friends with them. 10)She always makes friends with people. ^_^ I love that! Her personality is so great! Her kindness and her loving heart really helps her make friends.